Home » Fruits » Healthy Foods » Is It True Calories In Banana Make You Fat? Read The Facts! Is It True Calories In Banana Make You Fat? Read The Facts! Bananas indeed quite high in calories, but there are so many nutrients content in banana that more important than calories content in it. An exercise physiologist and nutritionist, Martica Heaner said, if you consume about 10 bananas, there are about 1,000 calories, you could be fat. However, most likely you will not be able to eat 10 bananas at once. 1-2 bananas is enough to make you feel full. Bananas do have fat, but only a little, and is a good kind of fat. 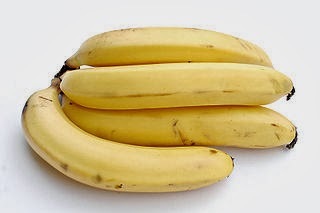 Not only that, bananas also have a bit of protein, as well as other ingredients, such as vitamin C, vitamin K, vitamin A, beta carotene, lutein, and zeaxanthin, and lots of vitamin B. Bananas are a snack that contains carbohydrates, potassium, and magnesium, which can be lost during a hard workout session. So, if eaten after exercise, can restore the lost energy and electrolytes. Plus, each piece of banana, there are 3 grams of fiber. This will give a sense of satiety. Bananas beneficial to the body because it can help overcome heartburn, providing instant energy, a cure for constipation, drunk, and helps control blood pressure and stress. Well, if banana contains so many nutrients for the body, then why bananas can make you fat? As said by Martica Heaner above, consuming too many bananas every day, it can make you gain weight. Therefore, if you are likes consuming this fruit, you are obliged to restrict it. It is recommended you should eat two bananas a day to keep your body fit and healthy. Do not eat more than three pieces of banana if you want to get instant energy, because glycogen that produced after eating bananas will be stored in the liver, so it turned into body fat. Banana fruit is included free of fat, but it contains sugar levels high enough so that it can make you gain weight. Bananas can make you fat if you are not exercising. The accumulation of fat, because the calorie content of bananas are pretty high. Now, therefore, if you eat a banana is better directly followed by a 15 minute walk to burn off the fat from the banana. To avoid gaining weight from too much eating bananas, you'll want to reduce the sugar intake from other fruits on a regular basis. If you still want to eat a banana, you should consume two bananas in the morning with milk to burn calories. So, ready to eat banana and get the benefits?